We would like to Congratulate Pine Prairie in Lewisville, TX. The Grande Reserve at Geist in Indianapolis, and Parkway Commons in Lawrence, KS. 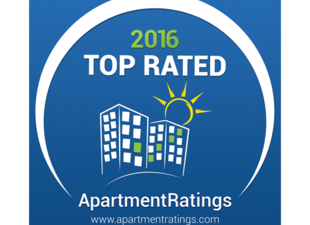 which we managed the entire year of 2016, for receiving the "2016 Top Rated Community" by www.apartmentratings.com. The award recognizes approximately 5% of communities listed on ApartmentRatings and acknowledges those with outstanding resident satisfaction. The guidelines are as follows: Community received a recommend score of 70% or higher. has at least 10 reviews in total and has received 5 reviews from the award year.